Posted on February 20, 2017 by Jenny Suh / This entry was posted in Informative, New Products, Uncategorized. Bookmark the permalink. Are you looking for the perfect vaporizer to smoke your choice of dry herb? We’ve got a great new option in stock that everyone’s talking about. First things first, you’ll want to consider which features make one dry herb vape better than another. Consider the battery life, temperature control, portability, and the size and quality of the herb chamber, to name a few. But what most people want out of a dry herb vape is the ability to take effective hits without burning out your herbs are a few qualities that make a huge difference. 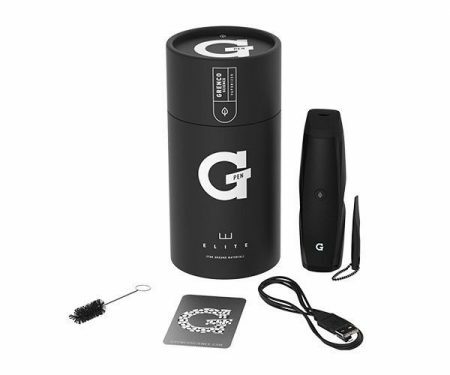 Grenco Science seems to have mastered the tricky art of the dry herb vape with its newest brainchild- The G Pen Elite! 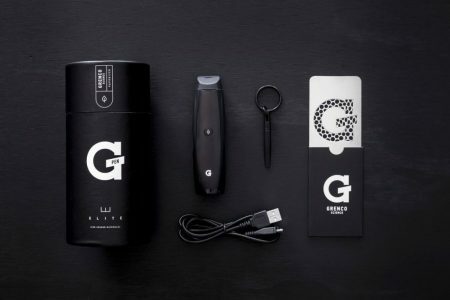 Known for bringing the beloved G Pen, G Pro, and Micro G to the market, Grenco has long been blazing the trails of vaporizer technology. The design of the G Pen Elite is noticeably unique compared to other Grenco Science’s products. It’s a gigantic leap in technology for both brand and industry. The size and shape of the vape itself makes it ergonomic and portable, so it’s perfect for vaping on the go. With a powerful battery run by lithium-ion and smart-chip technology, it’s guaranteed to stay charged, so you won’t get left hanging when you’re not close to a USB power source. One of our favorite features of the G Pen Elite that makes it so special is its all-ceramic heating chamber. The material you use to convection vape is very important, and is often overlooked because you aren’t technically burning anything with a vaporizer. Ceramic is by far the healthiest and most effective material you can vape from, and the G Pen Elite features the largest 360 ceramic heating chamber on the market. So that means you get to load more dry herbs for a long lasting vape session, and the herbs are evenly heated from all sides, so nothing is wasted and you get the maximum flavor and effect of your herb with each hit. Lastly, the vaping pros at Sunflower Pipes would agree that when you can set your vape to the exact temperature degree you choose, you get the absolute most out of your vaping experience. If you’ve ever vaped dry herbs and felt like you weren’t getting enough of a hit, or maybe your herbs were burning out too quickly, you’ll understand that being able to go up or down to the exact degree gives you the utmost control, much more than just three or four temperature settings would. 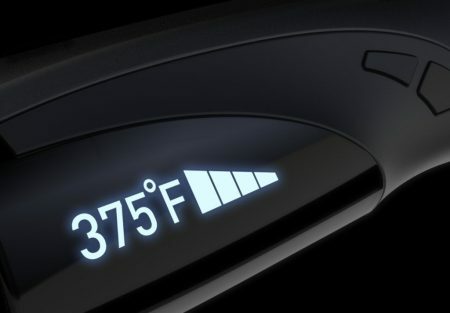 The range of temperature selection on the G Pen Elite is 200° – 428°F (93° – 220°C) which is shown on an LED screen. With that much control you’ll never have to worry about wasting your herb, and you’ll always get an effective, substantial hit. Why not get the most out of your experience every single time? You can have it all with the G Pen Elite! 1.Register your G-Pen Elite on the Grenco Science website with serial number provided on product packaging. This product comes with a one year warranty! 2.Allow the device to be fully charged for a minimum of three hours before first use by using provided USB charger. 4.Fully load the chamber with your favorite ground material. 7. To start the heat sequence, simply hold down the front panel button down for one second, release, and wait. Once the LED display shows your preferred temperature, inhale and unwind! Pick one up for yourself at one of our two locations in Brooklyn, or online here!